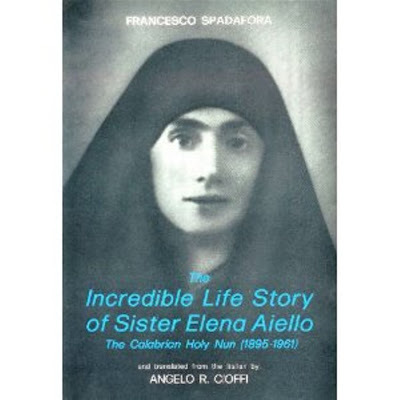 The information contained in this abbreviated biography was taken from the book "The Incredible Life Story of Sister Elena Aiello, The Calabrian Holy Nun (1895-1961)". It was written by Monsignor Francesco Spadafora in Italian and was translated into English by Monsignor Angelo R. Cioffi. Fr. Spadafora was a renowned biblical scholar from the Pontifical University of the Lateran in Rome. He opposed modernism and while writing this book he was also battling the modernist approach to scripture that started to gain ground at the biblical institute. Some saints live a heroic holy life in an ordinary way and some in an extraordinary way. 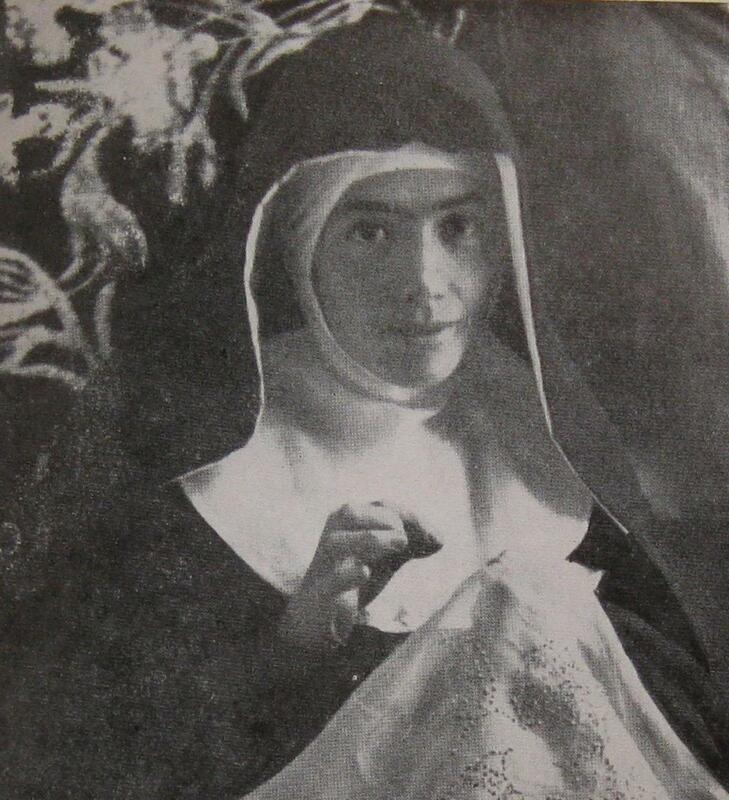 Sister Elena Aiello, who was the Foundress of the Minim Tertiaries of the Passion of Our Lord Jesus Christ, and a contemplative soul and a martyr to suffering, was called to live both and it is through her charity that her true greatness is achieved. She was well known in Italy and much of Europe and had many visitors comparable to the crowds that visited Theresa Neumann and St. (Padre) Pio. Elena Aiello was born in Montalto Uffugo (Consenza), Italy on Holy Wednesday during Holy Week on April 10, 1895. Her parents were Pasquale Aiello and Teresa Paglilla. During the Procession of Rogations her mother prayed for the grace of having a baby girl and if she did, she would name her Elena and consecrate her to the Cross of Our Lord in memory of the Empress, St. Elena. Elena lived in an exemplary Christian family. Her extremely devout family, never were given over to the practice of any vanity or entertained anything of a worldly fashion. Her mother unfortunately died at an early age and her father, now a widower and a tailor by trade was left with the care of 8 children one of which also soon died at age one. At a very young age, Elena lived a devout life and performed penances. An incident at the age of 9 illustrates her inclination to penance. After having received her first communion and attending a retreat, she and several other girls obtained permission to wear a penitential belt. On the way to getting the belt, she had an accident which caused her to lose her two front teeth. She put her bleeding teeth in a handkerchief and continued on in haste to get her penitential belt regardless of the blood and pain. Another time she accidentally inhaled some water she was drinking from a glass while laughing. As a result, she experienced a constant cough for a year and a half except at night and the volume of her voice became lowered. She was given some treatments by a doctor but this caused her more pain. Eventually she prayed to Our Lady of Pompei, promising her that she would become a nun if cured. And in fact, Our Lady of Pompei appeared to her during the night and assured her that she would be healed –which she was. contagious illnesses. Thus began her journey on the road to a life of charity. She continued to plead with him and his response was to take a bottle and fling it at her. It struck her in the neck and while holding her bleeding neck with a cloth she told him that “his soul was hanging on the edge of a precipice” and that she would not leave the room until he called for a Priest to come in. Finally the freemason became so moved by her charity, that he promised her that he would receive the Sacraments on the one condition, that she herself would assist him every day. He repented, received the Sacraments from the Priest, and she cared for him for 3 months. He died a fervent Christian bearing his sufferings with patience and resignation.